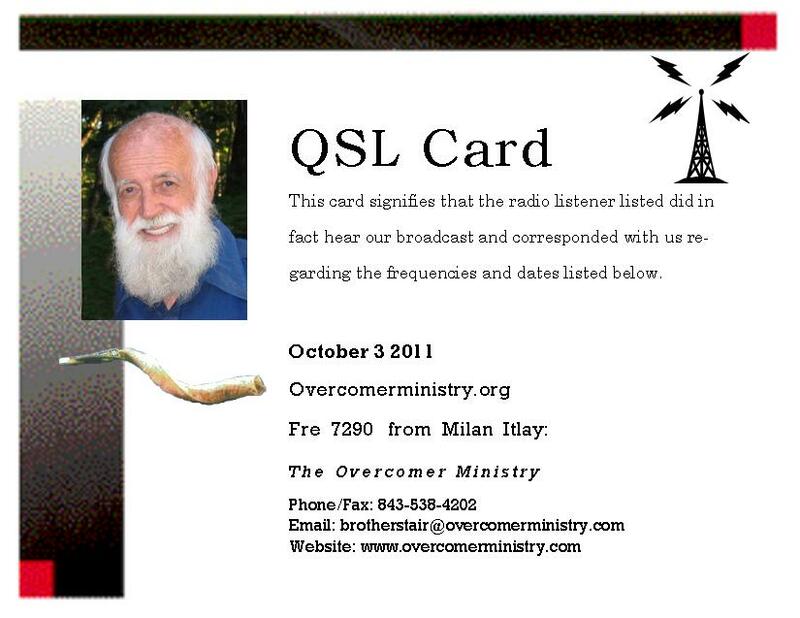 The three letters - QSL - constitute one of the codes originally developed in the days of the telegraph. All codes consisted of three letters beginning with "Q". Later some of these "Q" codes were adopted by radio-telegraphists and radio listeners. QSL means "contact confirmed" or "reception confirmed". The expression "QSL card" or just "QSL" gradually came to be used among radio-amateurs and then more broadly as radio began to develop as a mass medium. Radio stations were keen to know how well and how far away their programmes could be heard and began to send their listeners "QSL cards" in return for reception reports. The card would include letters making up the "call sign" of the station - the system still used in the United States - or the broadcasting company's logo or some other illustration. The card would also include a text stating the frequency and the transmitter output power, and a confirmation of when the listener heard the station. Radio Prague QSL card, I received by mail. Program info: Talking with shortwave DX-er from the Ontario DX association about the shortwave listening hobby. Welcome to my weblog, dedicated to Shortwave Listening. I hope you'll find it interesting and spend much time, reading the articles. I'm going to start posting reception reports of shortwave broadcasters from all over the world, including religious broadcasts, European national broadcasters, programmes from Asia and last but not least - radio pirates. I will also include listings of Numbers stations, military communications, CW beacons and HAM radio operators. Enjoy!